Debbie Pollock-Berry was determined to strengthen morale at XO Communications. Her first step was to play to the company’s strengths. By opening up lines of communication, Debbie Pollock-Berry was able to craft the HR framework necessary to boost morale across XO Communications. With almost two decades of experience overseeing a variety of organizations’ human resources efforts, Debbie Pollock-Berry’s passion for her job, while even facing the most challenging of obstacles, has never wavered. When she joined XO Communications in 2011, Pollock-Berry quickly realized that she needed to be an agent for change within the company. Morale was low, and the culture within the company was still working to move beyond the effects of filing bankruptcy in 2002. Pollock-Berry was charged with making XO a great place to work, but was not content with just boosting morale. 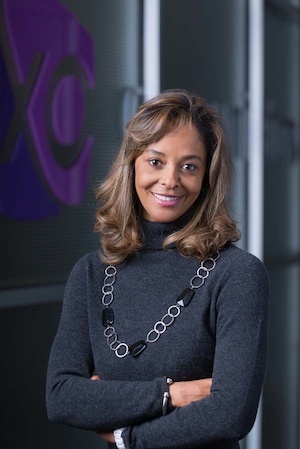 She knew it would necessitate broad-sweeping programs and initiatives that found both quantifiable growth for the company and marked improvement in the working lives of XO’s employees. The end goal was an ambitious one: to transform XO Communications into one of the top 100 places to work. Pollock-Berry’s first step was to secure feedback from employees in order to set her course, and, to gather that critical information, she created a 100-day plan. Pollock-Berry’s 100-day plan included an introduction video, visits to as many offices as possible for personal introductions, and opening the lines of communication, with an end goal of creating a culture of trust: allowing the company’s employees to be optimistic about their future and their new human-resources advocate. For Pollock-Berry, a key component in creating this new culture was her efforts as the company’s new HR leader. She was intent on connecting over 3,000 employees, a large task for someone new to the organization, and, ultimately, the plan worked. What one word would you use to describe XO communications? Incentives have played a huge part in employee success and commitment as well. First, Pollock-Berry transformed the tuition-reimbursement program by having XO Communications pay half of the tuition up front, allowing more employees to take advantage of the program. For seasoned employees, XO implemented an Employee Service Award Program. This is valuable, because one-third of the organization has been with the company for more than 10 years. These two changes had the added benefit of ensuring all age groups and levels of employees at XO were seeing new benefits. The company’s efforts haven’t stopped there. In 2012, XO Communications took the time to understand how its employees viewed the company culture and their workplace through quarterly surveys. Engagement reached 45 percent of the workforce and saw positive movements in culture, leadership, and trust. Upswings happened in a single quarter, and this was credited to the leadership’s attention to detail. Once XO employees were able to share their thoughts and ideas in the surveys, the culture naturally improved as employees understood that they were valued. The engagement uptick owes part of its success to a round of salary increases that Pollock-Berry worked with CEO Laura Thomas to secure for the workforce. Before Pollock-Berry’s arrival, 72 percent of the workforce had not received a salary adjustment for three or more years. In 2012, this population was granted raises, which coincided with another benchmark for the company: 2012 also marked the first year in 10 years that the company made a profit.